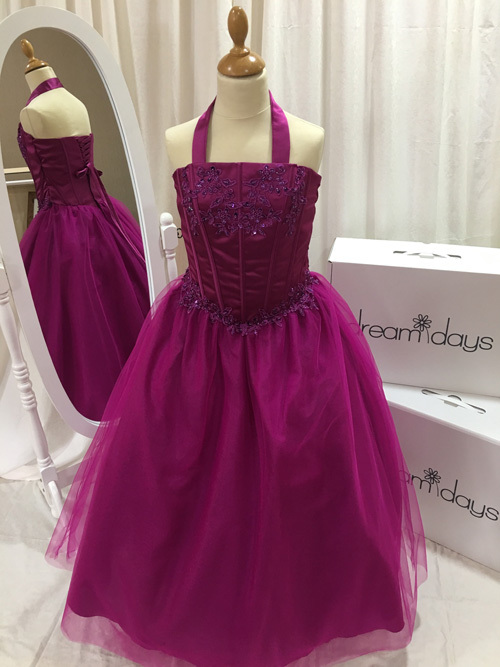 This gorgeous ball gown can be worn with or without an underskirt. The lace back corset bodice has numerous strap options. Delicately placed pearl and sequin motifs scatter the bodice and waist.